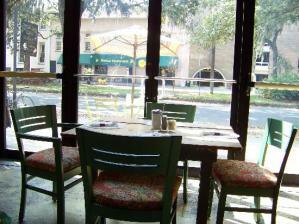 SoHo South is a classic Savannah brunch stop that many were sad to see close several months back. The fan favorite at 12 West Liberty Street has now reopened with brand new décor and a dinner menu that continues the tradition of elegant southern cuisine. Start with the Original Tomato Basil Bisque or the slightly more adventurous Oven Roasted Quail appetizer. The SoHo Signature Salad is another delectable starter. The combination of apples, walnuts and dried cranberries over mixed greens is completed with boursin cheese and balsamic herb vinaigrette. The signature entrees are diverse, pulling from an array of proteins. Try the Durrence Farm Grass-Fed Burger and add toppings to your liking. The Grilled Head-On NC River Trout is also unique with sides of creamy polenta, roasted fennel and baby carrots. Of course, who could forego dessert, especially when the menu includes classics like Georgia Pecan Pie and Bread Pudding? What diners might not realize is that SoHo South is a part of Savannah’s Daniel Reed Hospitality that also owns popular Savannah haunts like the Public Kitchen and Bar and Local 11 Ten (along with its accompanying rooftop bar Perch). At SoHo South you can expect the same delicious fare from Executive Chef Brandy Williamson and her team. Reservations recommended!